This fully-guided tour is designed for those seeking an adventure vacation combined with unique cultural experiences. 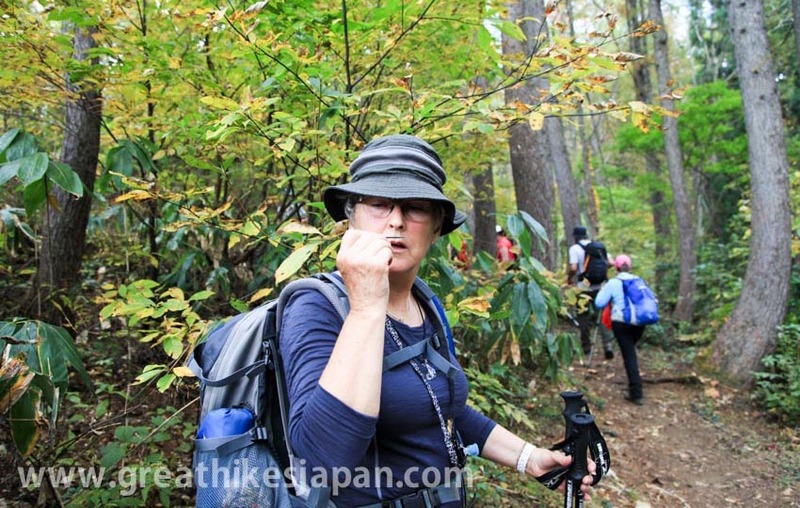 We will be hiking part of the 80-kilometre Shinetsu Trail. We selected the finest sections of the trail to hike. 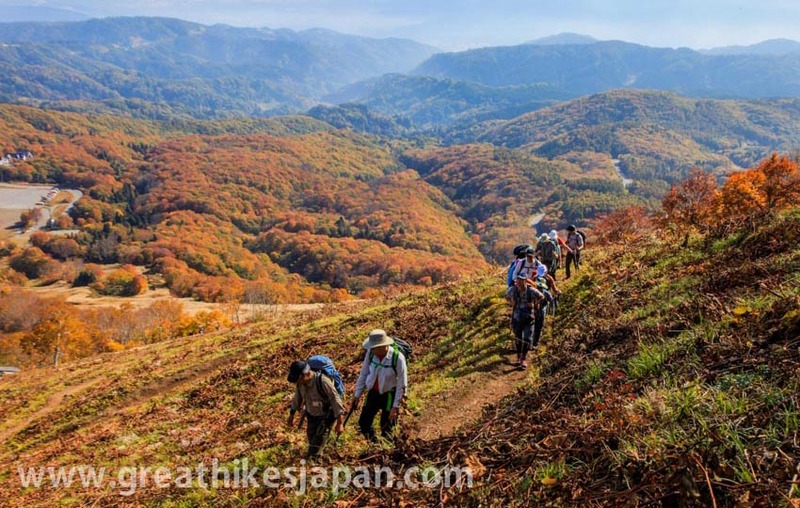 The Shinetsu Trail, opened in 2008, is the first hiking trail that allows you to experience the stunning beauty of Satoyama landscapes and to partake in local culture and hospitality. 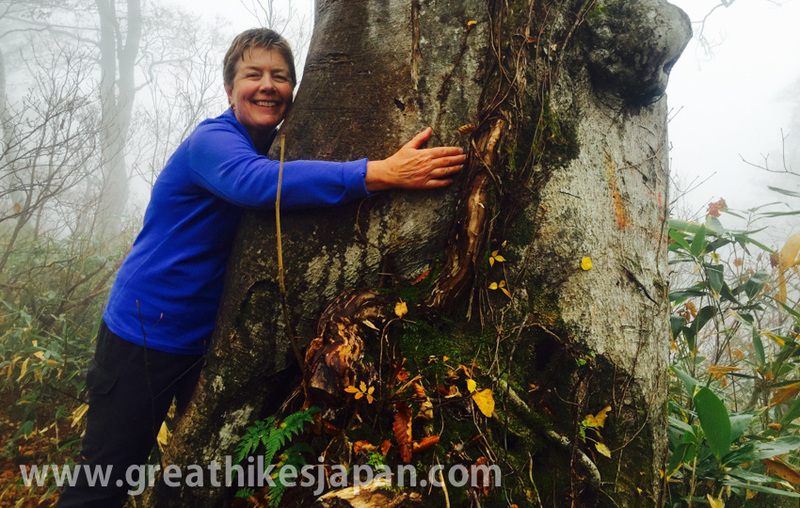 Hiking in the Satoyama region is an immersion into the natural beauty and mountain culture of Japan. Even in modern day Japan, the soul of Samurai still lives in Japanese people. Bushido is about righteousness, courage, benevolence, respect, sincerity, honor, loyalty, politeness and self-control. Bushido is an ethical system, rather than a religious belief system. In feudal Japan, the theory of bushido was incredibly influential in what it means to be Japanese and Samurai’s values and code of honor still continue to live on in the hearts and souls of Japanese people today. Historically, the 16 passes along the Shinetsu Trail were used for trade and traffic, also used by Samurai warriors. The warlord Kenshin led his men through the area on his way to the battle of Kawanakajima in the 16th century. This rich history dates back to just after the Nara Period (AD 710-784). 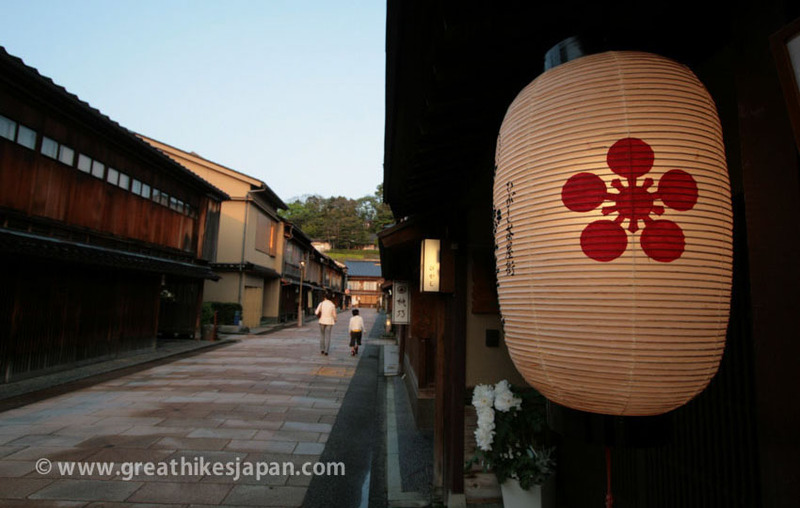 Hiking the Shinetsu Trail and visiting historical sites along the tour, We learn about and experience samurai culture and lifestyle today. Autumn is the season of the harvest, It is the time to enjoy nature's bounty, the fruits and vegetables, the grains and fish. 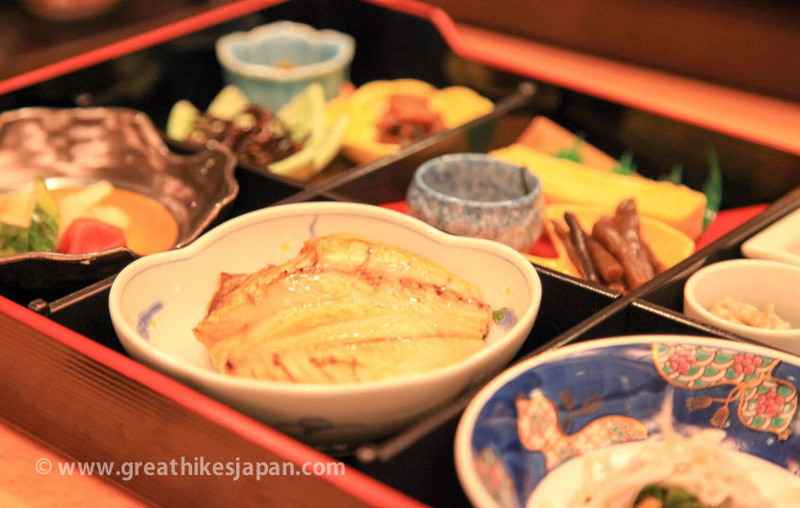 We discover variety of traditional local Japanese dishes on the tour. Chefs at the accommodations prepare beautiful local cuisine that are authentically regional, with emphasis on seasonal and locally sourced ingredients. WHAT IS THE SHINETSU TRAIL? 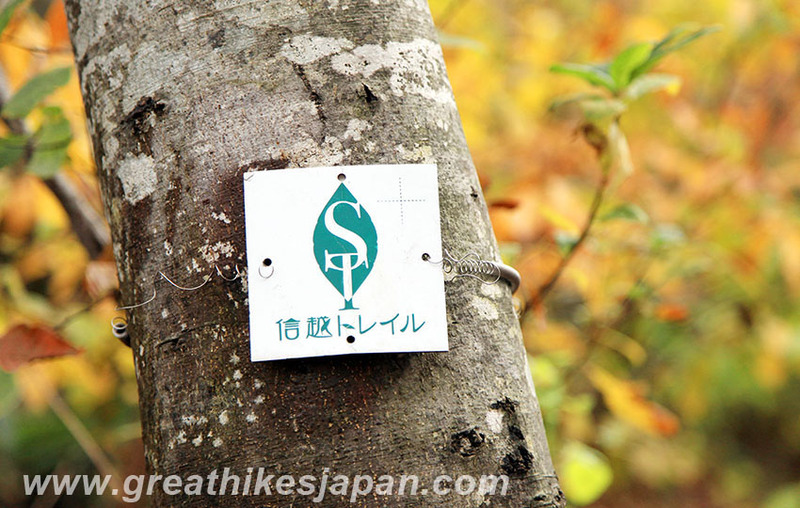 The Shinetsu Trail is the first long-distance trail designed after the model of the Appalachian Trail in the USA. Like the Appalachian Trail, this 80-kilometre trail connects small towns and villages in a network that permits hikers to visit local attractions and communities en-route and to stay in local accommodations. 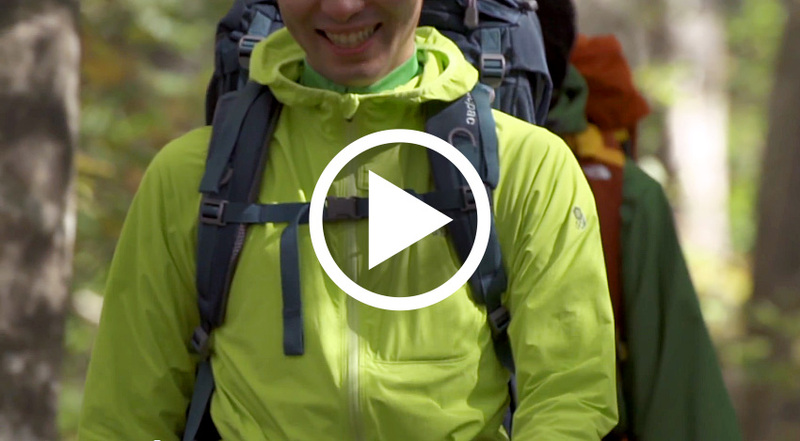 It follows one of the oldest trails in Japan. 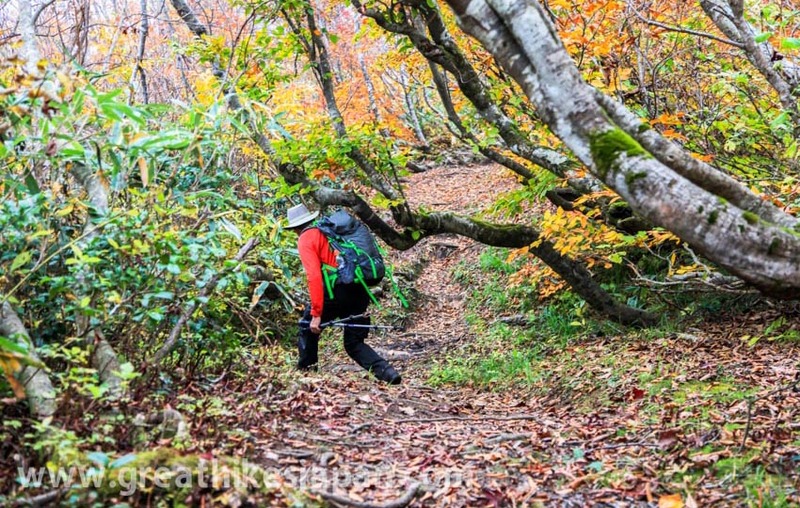 Despite its long use for trade and travel, it remains the least known long-distance trail in Japan. 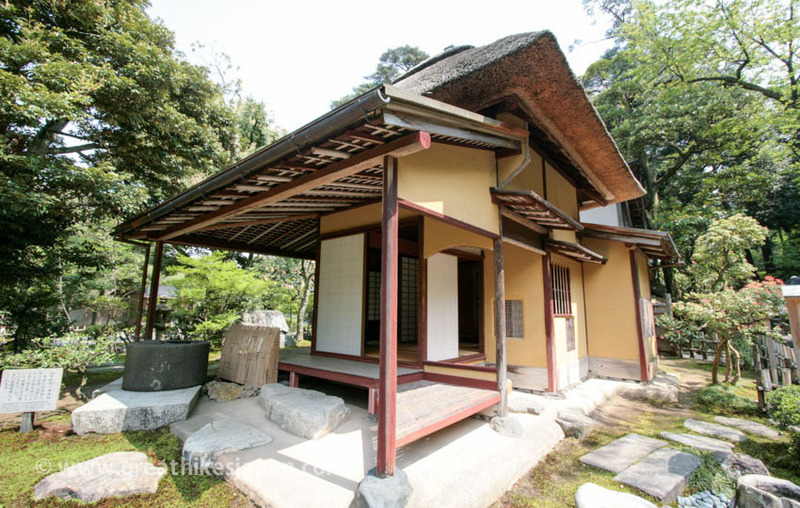 It has a rich history dating back to just after the Nara Period (AD 710-784). 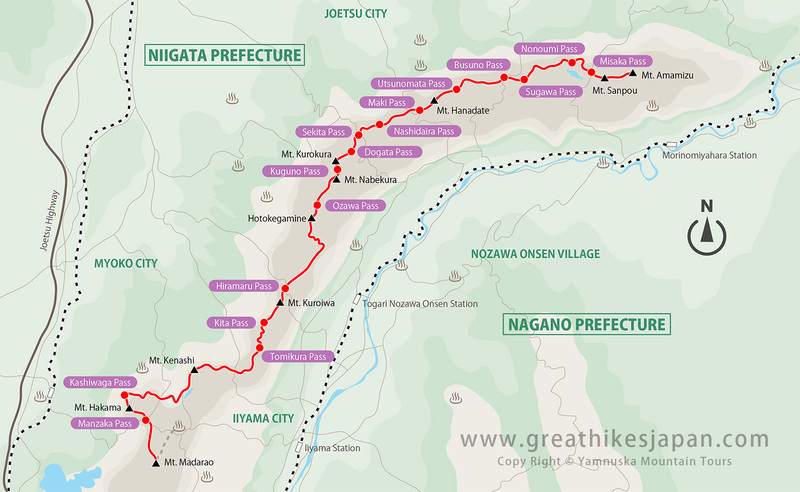 Running along the border between Nigata and Nagano Prefectures, the Shinetsu Trail follows the Sekita mountain range at an average elevation of 1000 meters. This region is also one of the snowiest regions in the world, averaging eight meters of snowfall in the winter. 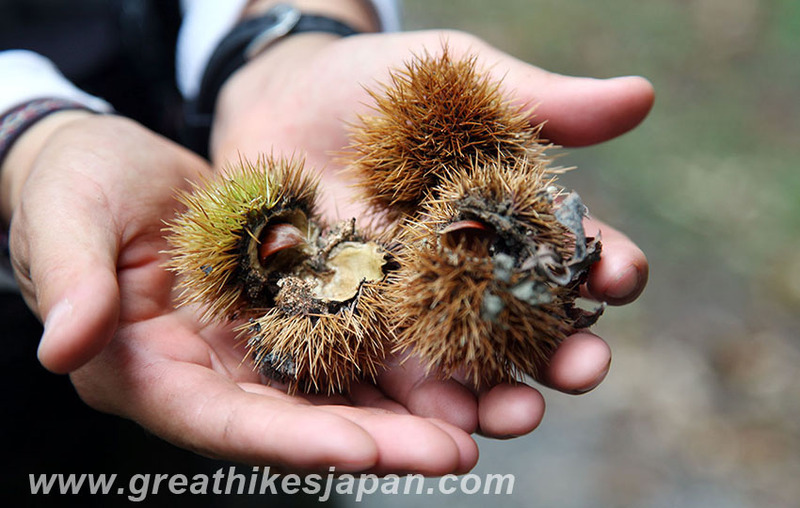 The rolling terrain of the trail passes through old-growth forests of majestic beech trees interspersed with villages. 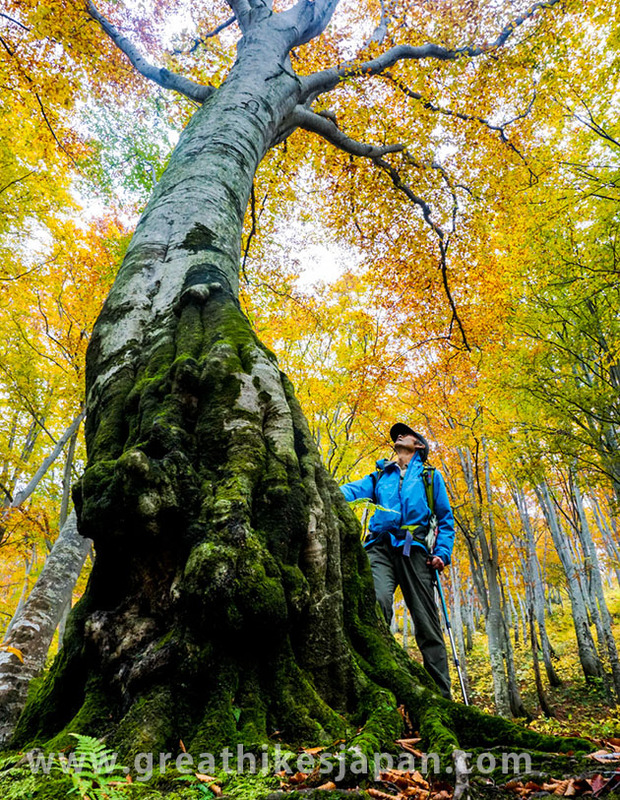 Averaging an impressive eight meters of snowfall each winter, the region provides the large amounts of water required to grow an impressive beech tree forest. Many of the giant trees are more than 300 hundred years old. The hike is mostly below tree line and features rolling elevation change throughout the day. 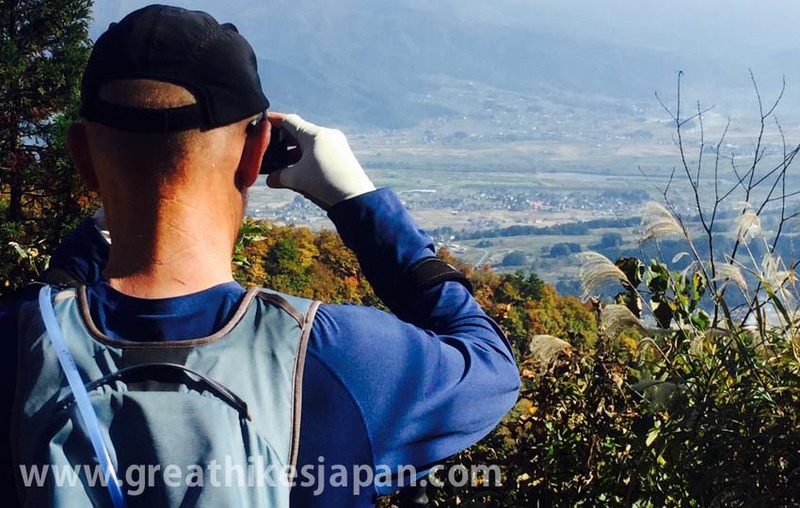 As well, on most days, you periodically break out of the forest for fabulous panoramic views of agricultural landscapes, mountains, villages in the valley and the Sea of Japan in the distance. 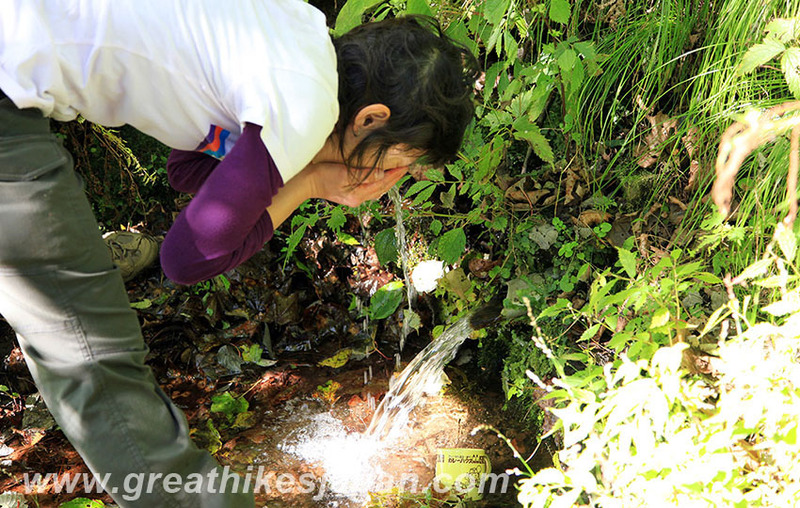 The majority of the trail is well-maintained and signed and pleasantly cushioned with fallen leaves, which your feet and knees will appreciate. 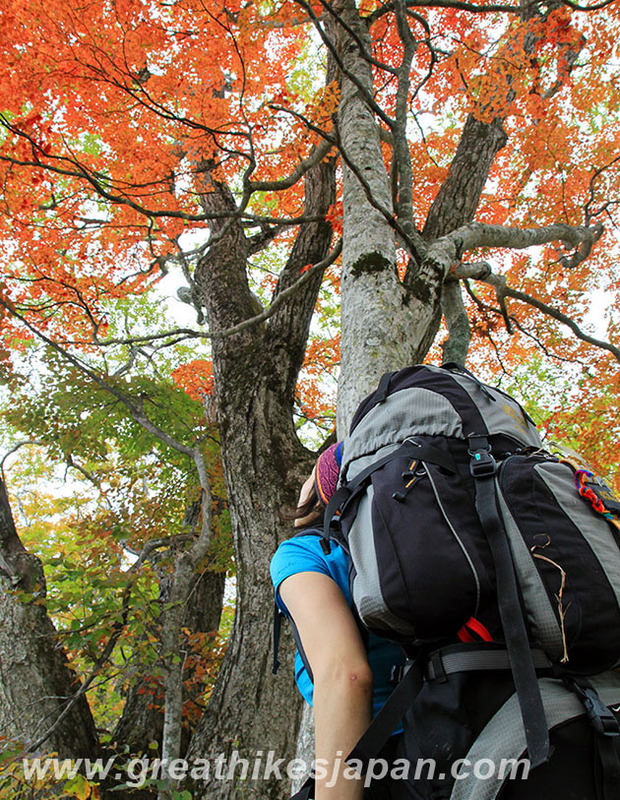 Tours are scheduled to coincide with peak Fall colour seasons when the autumn colours of Japanese beech, oak, mountain ash, maples and many others are at their best. We will be rewarded with beautiful views of crimson red and deep yellow from the changing colors of the trees. "Satoyama" is a Japanese term that describes the symbiotic interaction between humans and nature in the mountainous areas of Japan. 'Sato’ means "arable and livable land" and ‘Yama’ means "hill or mountain". "Satoyama" is considered an important environmental ideal where natural and cultural value coexist in harmony. 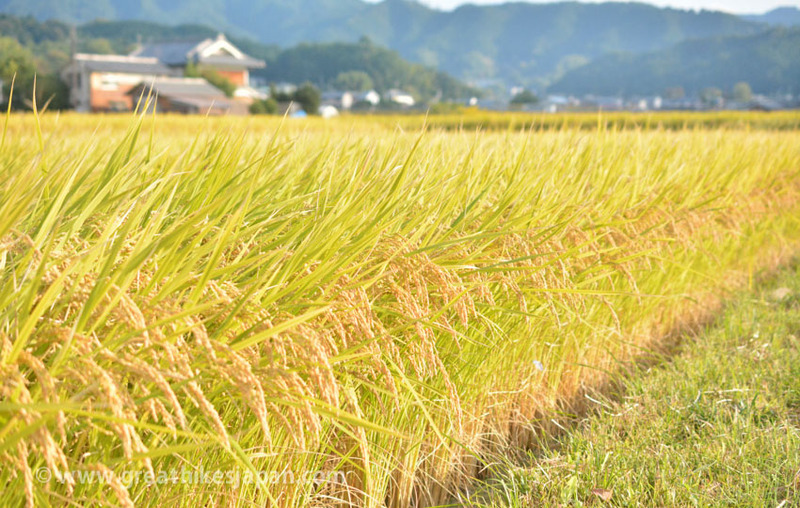 Humans have lived in these "Satoyama" regions for thousands of years and have reached an equilibrium within the ecosystem where the local biodiversity is richer than the pre-human environment. "Satoyama" values and practices have been identified and used for a wide range of purposes by local residents to sustain and improve their lives and in activities such as agriculture, forestry and fishery. 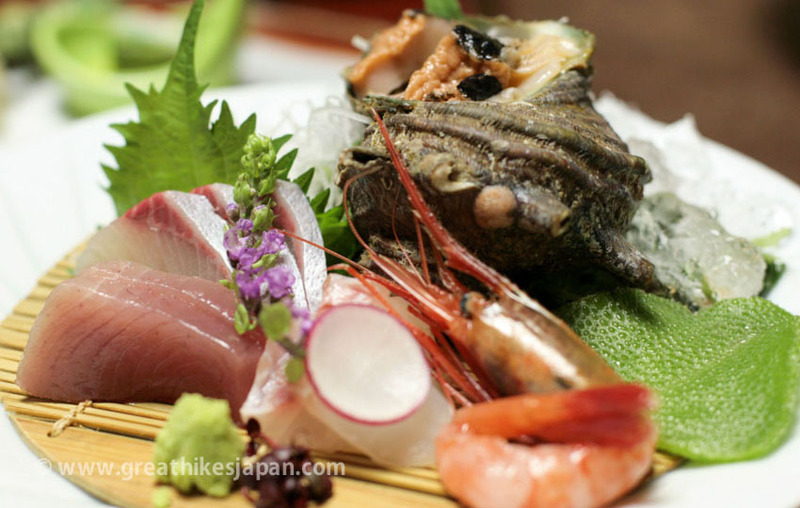 These practices, passed on locally from generation to generation, have resulted in rich and unique ecosystems in each "Satoyama" region in Japan. 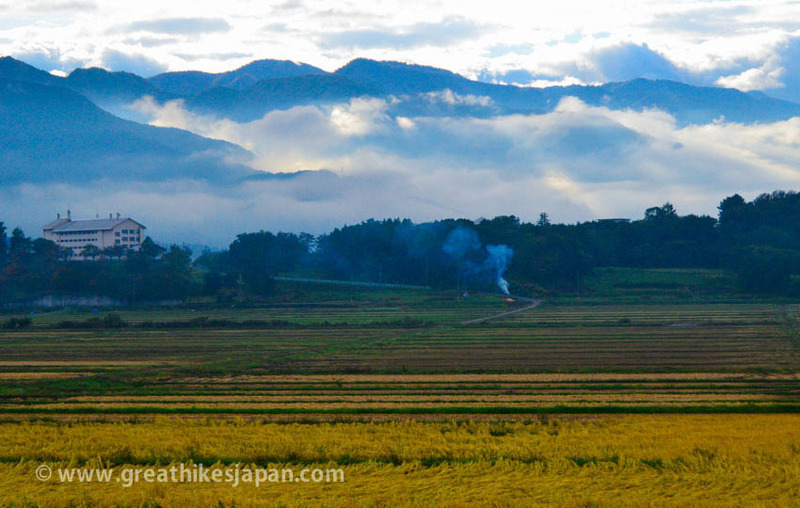 Hiking in the Satoyama region is an immersion in the natural beauty and mountain culture of Japan. This tour would not be possible without the efforts of the Shinetsu Trail Club in developing this unique trail. Our tour is operated with their cooperation and involvement. 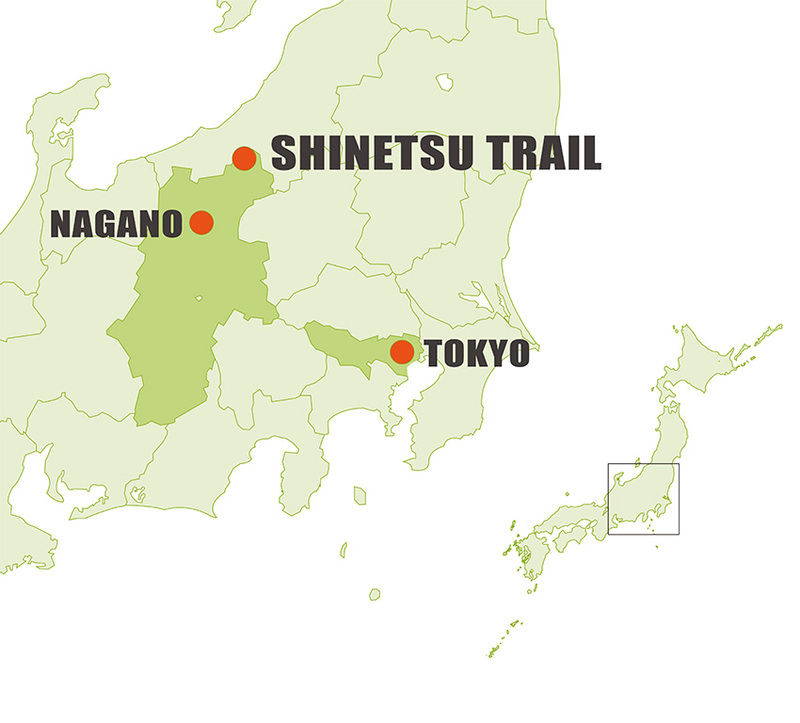 The Shinetsu Trail Club is a non-profit organization accredited by Nagano Prefecture since 2004. Its mission is to manage and maintain this 80-kilometre trail and support and promote its beauty. Additionally, it educates people on the importance of the surrounding natural environment, symbolized by magnificent Japanese beech-tree forests, along with local history and cultural heritage. The entire Shinetsu Trail was completed and opened to the public in 2008. It was the work of hundreds of local volunteers. 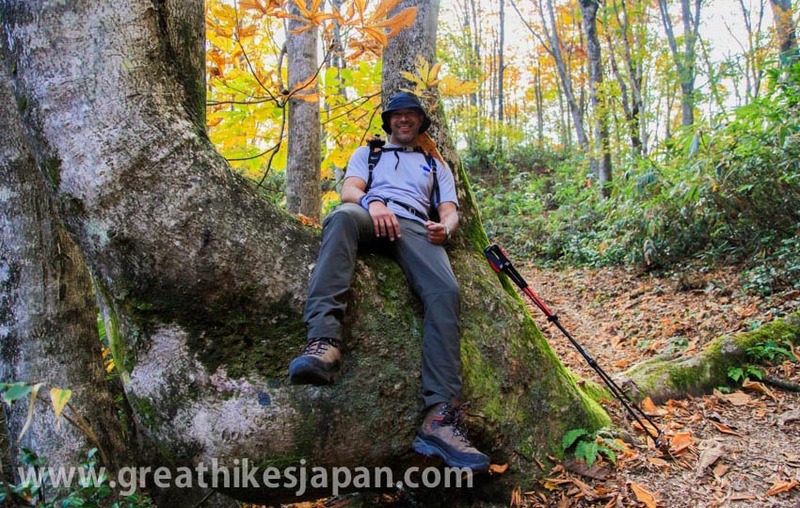 Their efforts have resulted in a trail that allows hikers to not only enjoy the beauty of the rolling mountains and Japanese beech tree forests, but also to experience genuine Japanese local hospitality when staying in the mountain villages overnight.